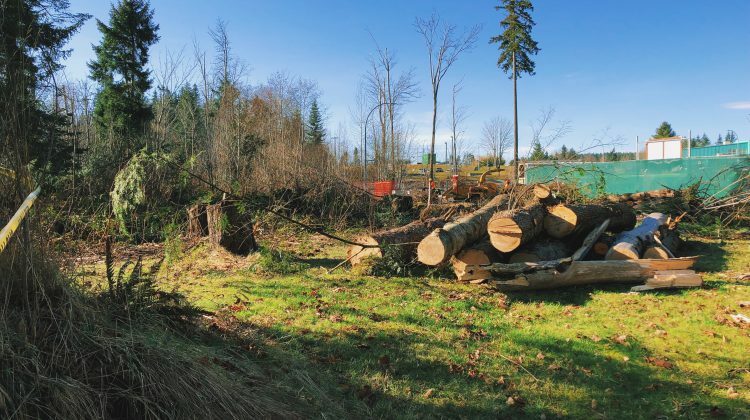 Tree removal started on March 20th, which is Phase 1 of the bike park's construction. Photo by Twila Amato/99.7 2Day FM/Vista Radio. CAMPBELL RIVER, B.C. – The eight-year bike park project is finally in construction. Tree removal started on March 20th. 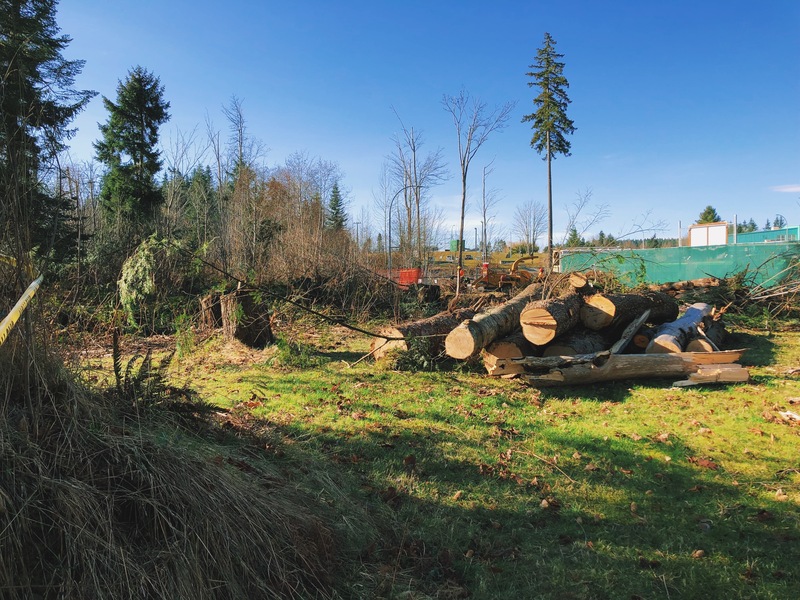 According to site manager Nicole Freeman, crews will lay asphalt once all the trees have been removed and begin construction of the pump track. A pump track is a continuous asphalt circuit with rollers and banked turns, usually meant for mountain biking. “Because we’re making it with asphalt, it’s going to be the best surface for even BMX bikers and other rolling types of riding,” Freeman said. She said pump track construction should only take about two weeks. “It’s pretty exciting for the bike park society to see the construction finally happening. It’s been a really long time coming,” Freeman added. After the pump track is finished, Freeman said they will move on to fencing and landscaping. The finished bike park will be at the north entrance to the Willow Point Sportsplex. Freeman said that in all, they hope to have the finished bike park open to the public in time for summer. The idea for the bike park was first proposed by Wendy Ravai and Beth Pechter to the city back in 2014.